‘That is enough’, is the name of the public protest to protect Slovakian forest. The protest was scheduled for Saturday 27 October 2018 at 2:00PM, in the centre of Banska Bystrica, Slovakia. The protest was attended by more than thousand people coming to this meeting from all corners of Slovakia, to say: That is enough! Stop logging in national parks! Thank you for support the protection of the last fragments of rare forest in Slovakia! MY SME LES (We are forest) is a civil initiative of people who campaign against the destruction of national parks and forests in Slovakia. These areas are ‘protected’, but in reality have been the victim of logging for decades. They launched as a public call a year ago to save rare Slovakian forests. So far, MY SME LES has brought together tens of thousands of people and appealed to the government for decisive action. However despite their backing from a European-wide audience, the prime ministers refused to meet and discuss. The Ministry of Agriculture continues to advocate and support logging in protected areas. 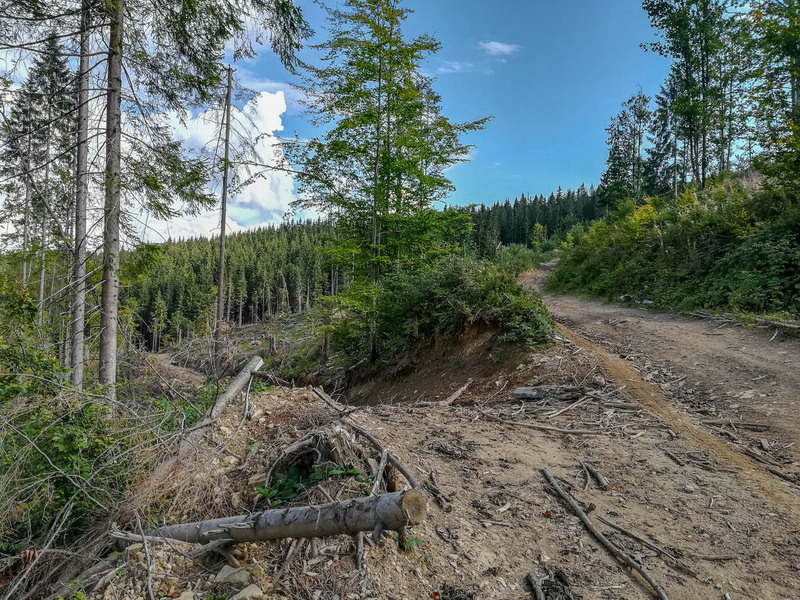 Their only reaction is an anti-campaign of the state enterprise State Forestry Slovakia – LESY SME MY (Forest are we), whose budget exceeds € 1.6 million! The anti-campaign by State Forestry Slovakia, LESY SME MY, has the support of government officials and foresters. A spokesperson from State Forestry Slovakia says that this is not a reaction to any other campaign, despite what it looks like. Their goal is to bring the public closer to the hard work of people involved in forest management. The following text is an appeal from We are forest, to the people of Slovakia and Europe. This has been translated into English. Forest is a critically important element of European Wilderness. In the last few years we are witnessing that more and more European forests and WILDForests are being destroyed. For example we have recently posted about the destruction and logging of protected forests in Romania and Bialowieza Forest in Poland. The European Wilderness Society is active in the fight against illegal logging and processing. State Forestry Slovakia needs to stop destroying their forests, which are a valuable part of their country, and instead focus on protection.